Robotic combat is becoming a thing. In TV studios, not the battlefield. A tiresome thing, the hi-tech equivalent of Monster Truck shows. MegaBots promotes itself as “the future of sports“. (I think they forgot the (TM) in that tag line.) But they have a way to go to be more that dudes driving dumbbots. Its more like professional wrestling at the moment, with staged fighting sequences. Then there are the BattleBots, a TV series of smaller devices (more radio-controlled it seems than autonomous) trying to deconstruct their opponent. And the less excitable sumo bots. You see more diversity in events with RoboGames – “the Olympics of Robots”. This probably helps stimulate developments, although mostly in single tasks. More versatile demonstrations of skill are found at the Robocup. Sure, a backflipping robot is technically impressive too, and a good illustration of how rapidly robotics is advancing. 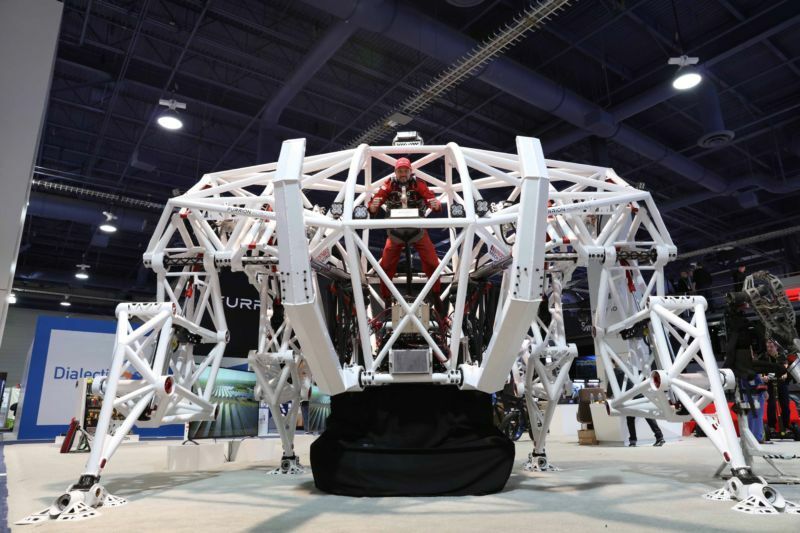 Next up is to have human-controlled robots perform athletic feats. Like Prosthesis. Which just seems to be a more advanced “boys with toys” MegaBot, without the thuggery. But less interesting and graceful than the stylistically similar but simpler Strandbeests of Theo Jansen. For real robotic inspiration though look to the Cybathlon. This involves people with mobility and dexterity disabilities competing with the help of robotic aids. It now seems relatively easy to create a machine that can walk by itself, or with a human controller. But developing devices that work “smartly” with humans still seems the greater challenge, and has a much bigger emotional impact. And that is often what we also want in sporting events.